This is one of the easiest homemade breakfasts there is. It is very filling a great for any morning. I have made these twice this week. On Sunday, I let them cool and tossed them in a gallon size Ziplock bag and we ate them on our way to church. This morning we made another batch and ate them while they were still hot. 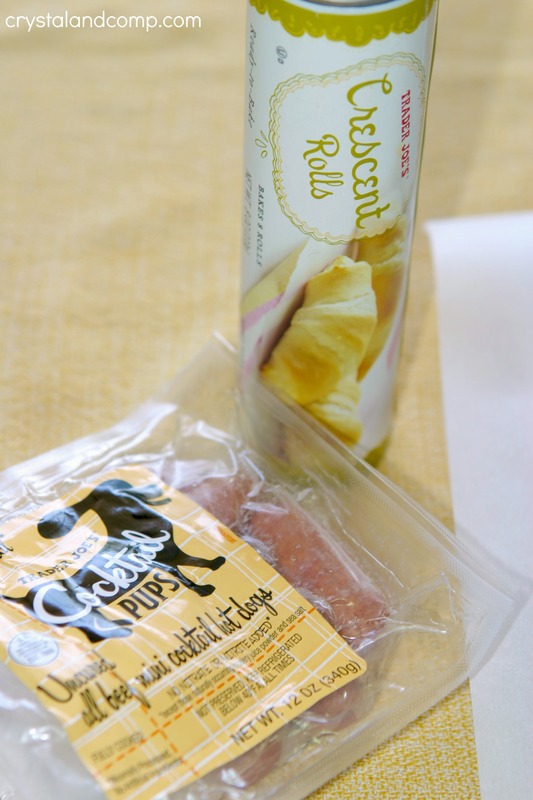 I used Trader Joe’s Crescent Rolls and their uncured, hormone free Cocktail Pups. One package of weenies is enough for 3 cans of rolls. Let me show you how to make this easy recipe. I like to make these on a cookie sheet covered in parchment paper. This makes for a super easy clean up. Take the dough out of the can. Separate it at the seams and you will have eight triangular pieces of dough. 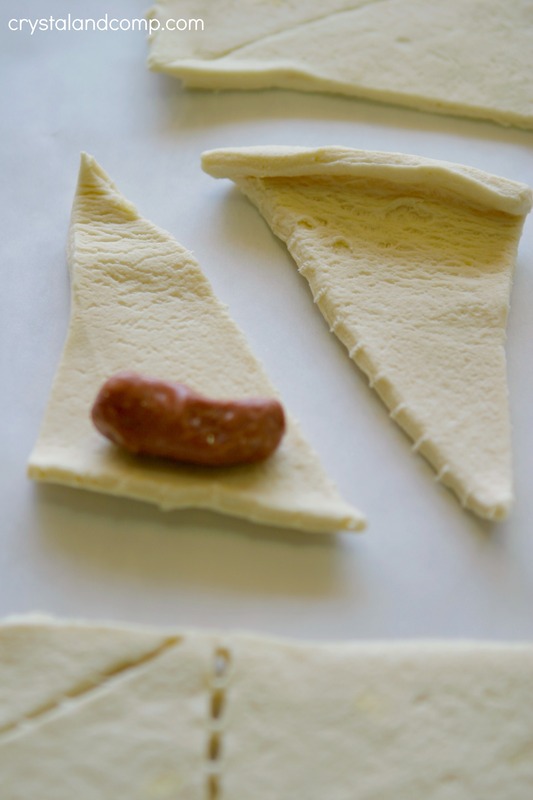 Place one weenie at the larger end of the dough. 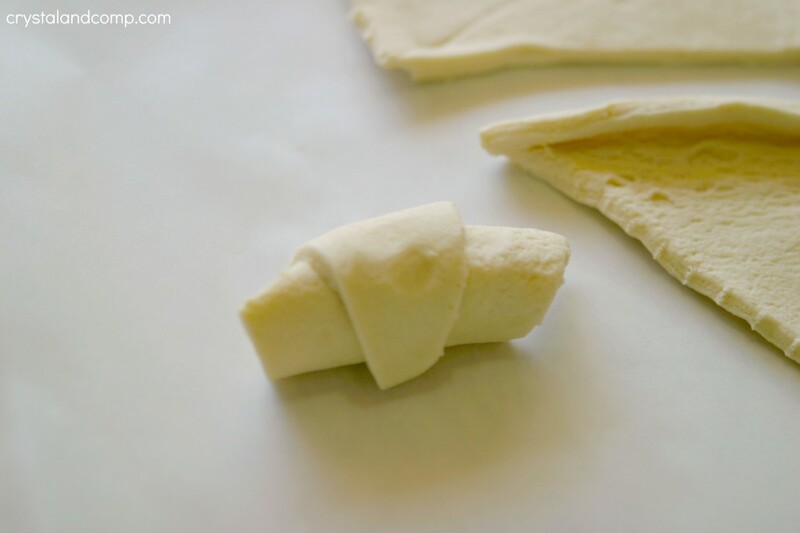 Roll the dough up until you reach the end of the triangle. Line them up on the cookie sheet at least 1 inch apart. Pop them in an oven that has been preheated to 350 degrees. Cook them for 12-15 minutes until golden. 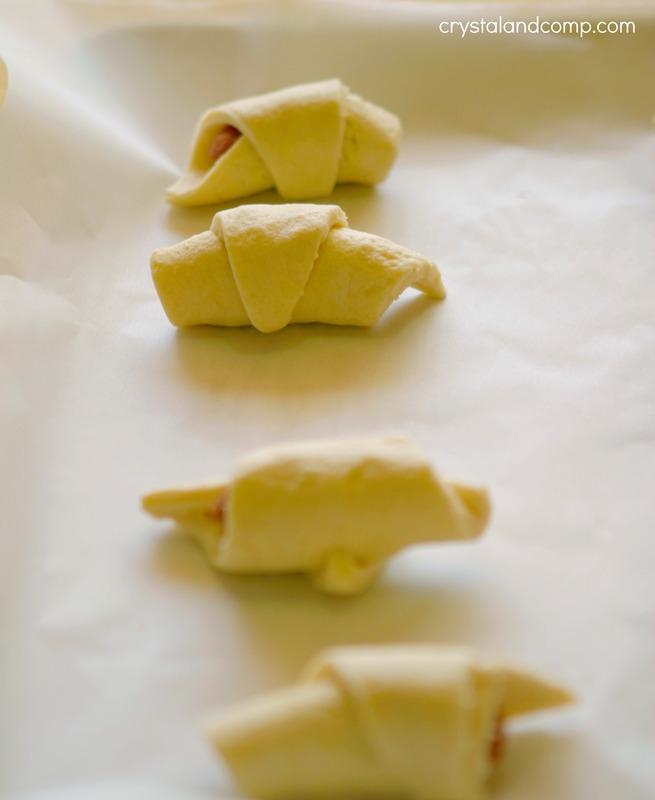 Once they are done cooking, remove them from the parchment paper to cool. 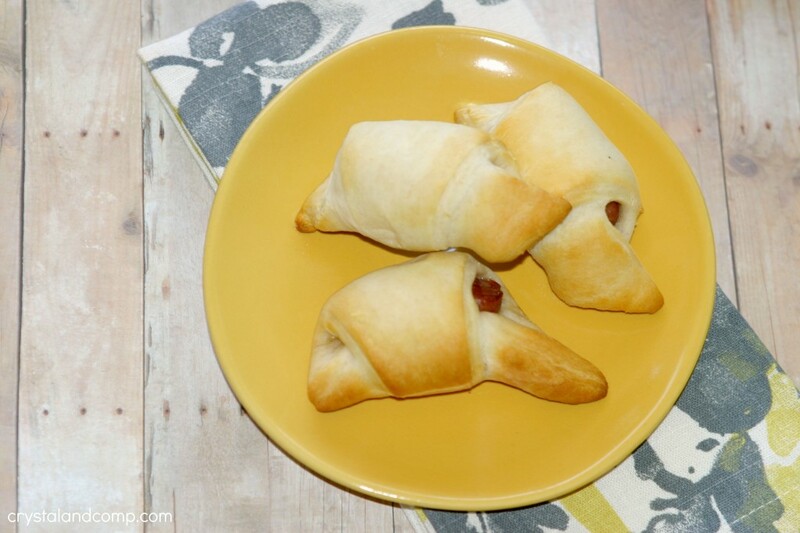 This is such an easy breakfast idea and perfect for those mornings when you want to make your family a hot breakfast, but you are pressed for time. 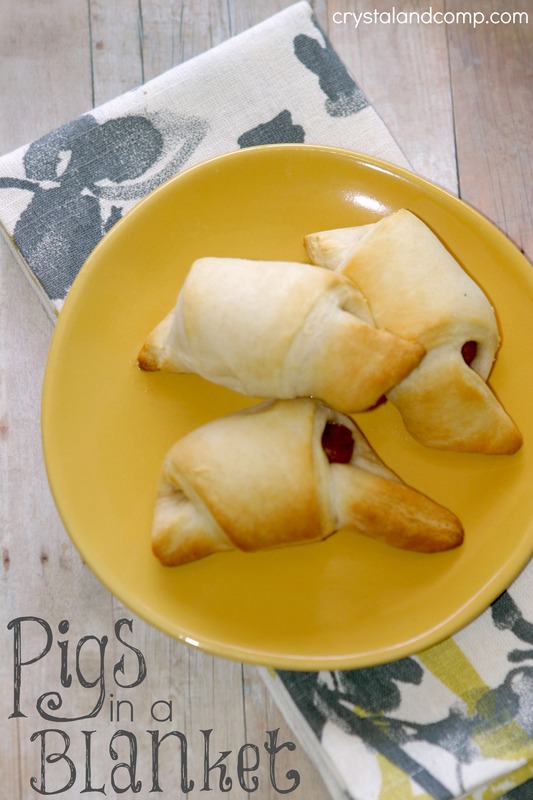 Homemade Pigs in a blanket, an all time classic! Thanks so much for sharing with Full Plate Thursday and hope you have a great week! I love Pigs in a Blanket!